Home Orthodox Mysticism Who is God? Sfânta Treime în viziunea lui Andrei Rubliov - una dintre cele mai cunoscute icoane ale Ortodoxiei. If you have asked questions about God, it is good to know that you are not alone. If you have come to the conclusion that you have not understood much or do not know too much, you are not the only ones, as well. Mystics of all religions, renowned philosophers and many ordinary individuals, all tried and failed to learn more about God, because it is simply impossible to encompass infinity with the limited human mind. And yet, who is God? Our information so far about God comes from two sources: what He has discovered to us through revelation and what we have deduced based on His manifestations in our lives. The reasoning is simple: because He has created the whole world and it protects it, we have come to the conclusion that He is omnipotent. After that, we realized that He has nothing to gain from creating us and, nevertheless, he did it. More, He gave His Son to redeem us from sin. From here, we infer that God is all-good. From the fact that he knows our thoughts, all the laws of nature (which He put in place), all the creatures (because He created them) and because He knows the past, the present and the future (because He is outside time), we came to the conclusion that He is all-knowing. And so on, this deductive process has continued over time, and it has come to assert that God possesses all the positive attributes to the highest degree: all-wise, omnipresent, etc. But here’s the catch. None of our words is suitable to define God. Basically, the attributes we assign to Him are definitions. That is, ways to specify the boundaries of ideas, phenomena, beings and objects. However, God, because He is infinite, has no limits. Therefore, our definitions, that is, the human names we assign to Him, are not appropriate for Him. Just because these names can not fully define Him, even if there are many, they are actually wrong, so, in reality, He has no name. Therefore, the attributes we use to define, to name Him, are just references, ways of addressing. However, we know some names, which God himself used, referring to Himself. 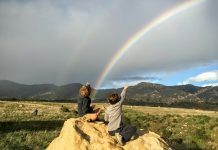 The first divine name we encounter in the discussion between God and Moses, when God says He is “He that is.” It is a very profound definition of God which expresses the fact that all that is found outside of communion with Him does not exist. Therefore, evil does not have its own existence, but it is a denomination of the lack of good, as darkness is a lack of light, or death means lack of life. Other names of God have been told us by Christ. They are “Father,” “Son,” and “Holy Spirit.” But the Savior does not talk about one, but about three distinct Persons. It is not about three names of the same reality, or about three ways of manifesting it, but about three Persons. 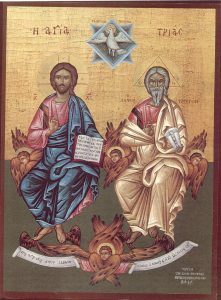 Hence, it follows that God and the Holy Trinity, consisting of these three Persons, are one and the same existence! And now, things are getting very confused. Does God who is unique and infinite consists in fact, of three Persons? In other words, can there be 3 infinities without limiting each other? These things have begun to be elucidated since the fourth century, at the first two ecumenical councils in the years 325 and 381. It required philosophical concepts, a lot of spiritual experience, and the confrontation of ideas from 468 participants in the synodic debates. The result – Christian teaching about the Holy Trinity. In order to understand this teaching, some things need to be clarified first. So, as much as we try to avoid definitions, in this case we can not really get rid of them. Hypostasis – the subject, the individuality, the way of individual manifestation of a being. When we are dealing with a rational hypostasis, we are talking about a person. Let’s get back! Orthodox Christian theology says that God is one in being and three in Persons. 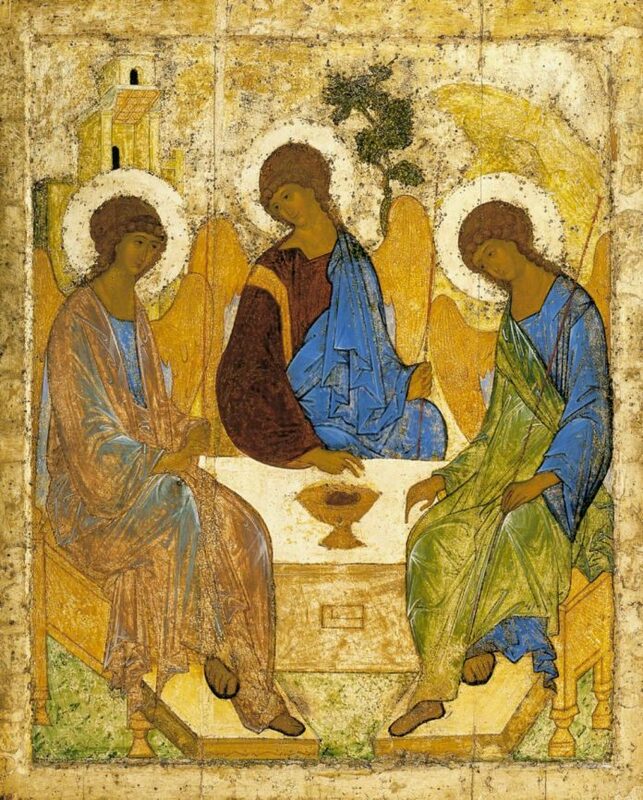 So, the each of three Persons of the Holy Trinity possess the divine being at once and in full. This is done through interpenetration (perihoresis) so that the three Persons do not limit each other. That is all for now! I know it’s too little, but if we were to get into the details, we should use whole books. However, the result would be the same as 1,700 years ago-human reasoning struggling to understand an impenetrable mystery. All this thinking is a minimum necessary to understand something about God, but, in my opinion, is quite technical. That is why, for me, the most useful characterization of God was left to us by the saint apostle John who said that “God is love”. Beyond theological or philosophical thoughts, everything about God is explained and understood through love. Love is the foundation of the union of the three Persons of the Holy Trinity, it explains the creation of the world and the care of God for it, through it we understand the redemption of the world from sin by the Son and its sanctification by the Holy Spirit, also love is the purpose our communion with God in eternity. Likewise, because we are created in the image of the Holy Trinity, love is our way of being. Whether it’s about love between parents and children, between brothers, between husband and wife, whether it’s about love for friends, for people in general, or for everything that is divine creation, it is love that explains and makes sense to our lives. If we do not love, no matter how much we seem to have progressed in the understanding of God, the whole effort is worthless, because only when we love can we say that we have an authentic answer to the question “Who is God”? Gospel according to John, chapter 3, verse 16. I Corinthians, chapter 2, verse 11. If He was not infinite, He would not be God. Under these circumstances, we would have every right to ask ourselves if there is anyone else more powerful than God, who, eventually, created Him. Exodus, chapter 3, verse 14. God is unique because He is infinite. Reason tells us that there canot be more infinities without limiting each other, because, by limiting each other, they can not be considered infinite anymore. I John, chapter 4, verse 8.